As much as we love summer, it does bring up a few unfortunate beauty faux pas. Shiny face, sweaty pits, and, the worst of the lot, the thigh chafe. Yeah, the jeans come off - but the heat rub comes on. Katie Sturino was also sick of the dreaded summer thigh chafe, and so she decided to do something about it - ladies, say hello to the Megababe Thigh Rescue. If there's one thing you need to know about fashion blogger and model Katie Sturino, it's that she gets us. She knows that summer is a b*tch for us ladies whose thighs are such good mates they touch constantly. 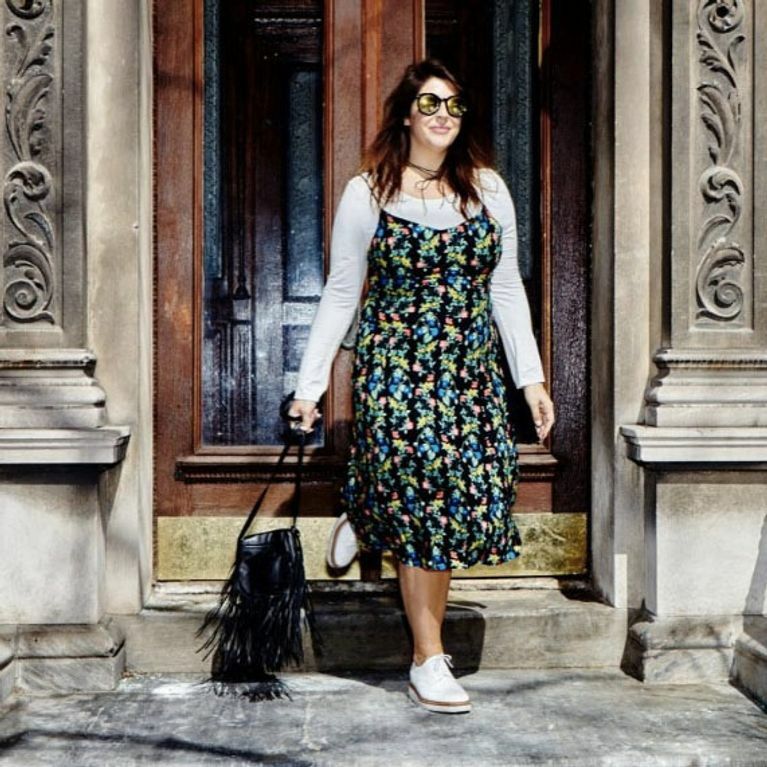 The fashion blogger, who proudly states that she's a size 12 on her Insta page, feels our pain fo' sho' when it comes to the loathsome thigh rub that comes with wearing a skirt on a hot June afternoon. Yes, there's only so many outfits a pair of Spanx or cycling shorts can work with. So we need a better solution - there ain't enough Vaseline in the world to help us through these muggy summers. And that's where Kate comes in. "A lot of people don’t understand that thigh chafe affects women of all sizes," Sturino told InStyle. "I have size 4 friends who are just as excited about this product as my size 18 friends because they chafe just as badly! Whenever I bring up thigh chafe, whether it’s in a personal or professional setting, I always hear from other women who think they’re alone in dealing with it. The truth is thigh chafe is just one of those annoying things that we deal with as women. I want to reduce the shame and stigma around something that so many of us deal with in a cute and fun way." And so the Megababe Tight Rescue stick was born. The beauty company creates products that help everyday women be comfortable - as well as smelling hella fresh. The Thigh Rescue contains aloe for cooling and soothing your sticky thighs, and well as lime oil, which is a great antiseptic if you're out and about and thigh burn has already taken hold. It comes in a stick form, and all you do it swipe it on the troubling area and voila! You're ready to walk. Other Megababe products include Bust Dust which tackles that pesky underboob sweat and contains delicious smelling ingredients like lavender and chamomile, and Cashmere Pits to keep your underarms fresh all damn day. The only downside to these genius products is they're only available in the US right now, but hey - thigh chafe happens all over the world! Fingers and thighs crossed that Megababe is available worldwide soon.